Kong Mini MM – Round 4:- from Hathersage. Provisional Results. Club Championships, and Club Dinner. Two Riggs – Kong Winter Series 1. Results. and a most welcome return from Joe, after injury. Tour of Pendle. Relatively benign conditions on Pendle, apparently a bit colder up the tops. Clear, quite dry underfoot. A nasty foot injury when someone trod on some kind of metal spike high up on the hillside. Some regular familiar faces passing through the CP, all but some few with the number pinned helpfully...Results. Peak Raid Round 3 – from Glossop. Results. Litton Birks Loop – an appealing new race from Litton, the Litton up in Wharfedale. And it was some excellent new race, starting up a relentless slog, into a flat moorland boggy loop around the trig and a moorland tarn, and back down again. A long way to come from the Peak, but surely the organiser's B&B would suit perfectly...Results. A host venue needed for next year, it seems. Ilkley Afternoon Race – a suitable, sharp course here, effectively two laps of the long-established Badger Stone Relays. These Relays are named after the tragic death of Will Ramsbottom, a while back, who was a talented Pudsey runner. Leg it Round Lathkil - results. Lee Mill Relay - 25th November. This is a good event, from Rossendale. 4 individual legs, all the same, not high powered like the traditional autumn relays, and over a strong fell course . It might? be well worth putting out a strong set of Seniors Teams, but after that there may be a case for anyone else who wants to run getting themselves sorted into teams of matching abilities...Might someone be taking on a role of sorting out? Friday - Really Wild Boar Night Race. Snowdonia Marathon - regular visitor is John Hunt, 34th and 2nd M50. Anyone else there? Results. Bronte Way – a scenic linear route to Keighley. Results. Results - and a good first place for Chris Vanderhoven. Rhys – 1st : Pete Davies – 2nd : John Hunt – 11th (2nd V50) : Dave Lund – 14th : Dave Sykes – 24th : Nicky – 29th (5th W and 1st W40, W50). Team – 2nd – a distinctly closeable gap of 0.6 points on Borrowdale. Langdale- final Carshare League Counter, and also the final event in this Lakes Grand Prix. Remembering that Great Lakes Run, Carshare kept well clear, as for me it was potential trouble. Conditions appear to have been rough, needing to go around Stickle Tarn, as the outlet stream was in spate. Cut-off times were tightened, as a safety valve for the marshals. Results. A lot of strong, safe (we hope...) trips round here, and a notable Classic win for Rhys. Rombalds Romp – should anyone want a trip around Ilkley Moor….A decent enough wander around the Moor, forever raining, and for some of us bit more wandering than was needed...results. "A few dates for next years calendar. Not completely official until they appear in next years Handbook. 17th March – E – AS Stretton Hills (2). 6th April – E- AL Howgills race. 27th April – B- AM The Mourn Highline. Ireland. 25th May – B- AM Ras Y Moelwyn. Wales. 15th June –B&E- AL Great Lakes Race. 1st August –B- AS Creag Dhubh. Scotland. 7th September – E – AM - Derek Prince Memorial Grisedale Horseshoe. 21st Sept – E- AS Ilam. Is on Saturday 10th November, in Ilkley. For once, all the individual and team medallists are listed on the main FRA website, , so well worth a check to avoid any mistakes. ROC Mountain Marathon - Results. Northern Lakes, above Keswick. Plenty to be sifting through here.. Results for Peris Horseshoe. A bit chilly up high, but dry and likely as good as it gets. Clear, but my intricate line off Glyder Fawr wandered all over the hillside. A very good club turnout for this classic course, and not to ignore the excellent Half Peris. No doubt Jim will elucidate further. Fell 'n Back - results. Groovy Kinder Love – another new race, and a strong AL Hayfield course. And with a 10.15am early start for anyone worried about the cut-off times. Results. Lockton Limping – N.Y.Moors. - Results. Fallfest – might get a visit for a newish Keighley venue.. And it was a most pleasant trip along the top of Earl Crag, above Cowling. Results. English Schools Championships – from Giggleswick. Results. Final English Championships. Please help out if I’ve got stuff wrong! MV50:- Spyke – 4th: John Hunt – 9th . Senior Men:- 2nd. Counting races are Edale, Buttermere, Turner Landscape, Cautley. Runners who have gained scoring points in the three counting races will be awarded medals. MV40:- Dave Taylor – 10th : Spyke – 15th : John Hunt – 20th. MV50:- Dave Taylor – 2nd= : Spyke – 5th : John Hunt – 9th. MV40 – 4th. ( 7th at Ben Nevis). Cautley Horseshoe –final English Championship race. Results, .Thanks to so many people for representing, and team/individual positions, etc won't be that long coming. A very good, hard course, and most of the lines had been sorted out. Clear for the Women, a bit damp and misty for the men. Just a thought, whether AS races need a cut-off time, i.e. at Yarlside summit? Peak Raid Round 1 :- 3hr and 6hr - Results. Hodder Valley Show:- another Bowland show, a pity for them all that it was all a lot wet. Once the tractor enthusiasts had gone, we set off. Lots of just runnable fields, some heavy rough stuff to the top of some fell, and back the same way. Results. Nine Edges Endurance:- Steve Matthews has kindly sent me a copy of the results, but no clubs are listed. Please let us know if you're not on DPFR results...And now official results. Mountain Trial:- Results. for Classic, Medium - where the Women took first team prize, and Short and on this, as Lewis points out, Emily Barnett ran with Dad, Andy for a really good result; taking a big step up in distance for a great young racer. Wednesday – Crab Fair – over in Western Lakeland. .Results. Ilkley Incline – a mile of uphill….results. 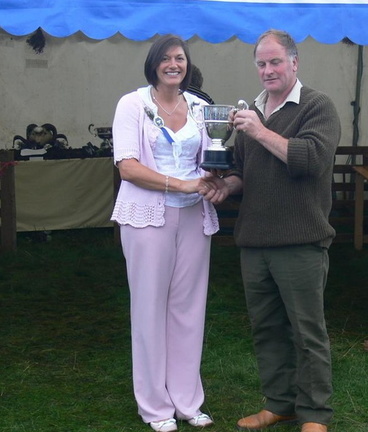 Chipping Show:- a good agricultural show in Bowland. with access, etc, the route has changed over the years. From the showground it's a fair trip out to the fells, but once that is done, a cracking, rough at times, hard course. Results. Kong Mini MM – Round 3:- results. Hebden Sports – near Grassington. The typical BOFRA race. Blast out of the field get up the hill, negotiate some walls and blast back down... Most unlikely that any results may emerge..
Black Combe Country Fair:- results. Kilnsey :- the one and only......but Dark Peak runners were there none..
English Championships after Turner Landscape. Looking through the lists, especially for teams, Cautley Spout is going to be the absolute crunch. The other short race, Clough Head, was a poor result, and hopefully can be dropped. Just a matter of as many runners as possible lining up. And it's not just those scoring the points, but equally important are those who can prevent other clubs from getting points. Likely I'll have been round it by then, if it helps anyone, just in case the mist is down, and try to get a decent line down the last hillside. After Turner Landscape - English Championships. MU23:- Nathan 2nd= : – Max – 4th : James Low – 10th. MV40:- Spyke – 10th . MV50:- Spyke – 3rd : Dave Taylor – 11th. . Apologies to those I never met up with, there aren't so many DPFR vests at the back when we start off, and most are sat in the stream by the time I eventually finish. Cautley Spout next for me, and I'll have got it learnt by then...Obviously it will be the deciding crunch race for teams and individuals, and the obvious marker for getting considered for the prestigious Relays. Long and Half Tour of Bradwell.- Results. Hob Hurst’s. Another welcome addition to the Calendar. Results. English Championships - after Isle of Man. After Kate’s Race. - English Championships. Senior Women:- Majka – 6th. MU23:- Max – 3rd : Nathan – 5th. MV40:- Spyke – 6th . MV45:- Spyke – 2nd . MV50:- Spyke – 1st : John Hunt – 11th .